... Moreno's luminous watercolors gently depict rural life in Mexico. The primitive watercolor illustrations, long on bright color and strong line, augment the story beautifully. Softly punctuated with the hues of the flower-filled Mexican countryside, Moreno's watercolor and pastel images quietly convey the picturesque setting. Her attention to folkloric details helps bridge the story as it travels between realism and fairy tale. The story deals honestly with the pain of being robbed of a treasure, and also, by showing the thief with his impoverished family, conveys the need for compassion. Moreno's watercolor-and-pastel illustrations give the Mexican countryside a warm, softly textured appearance. 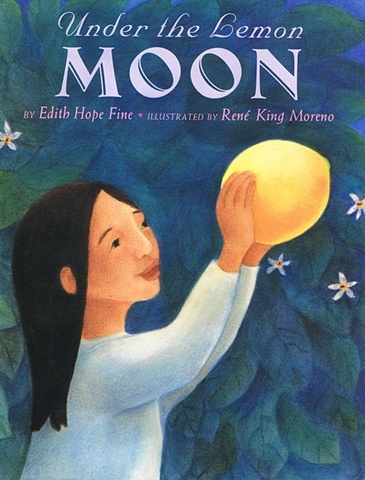 ...illustrated with flat, soft, stylized pictures, this mystical story is believably kindhearted. This gentle story is written in English with a few Spanish words included to give the flavor of the Mexican countryside, and is told in the great tradition of giving and receiving.